When the Academy Awards were ceremoniously given in Hollywood at the end of February, we at TSCNET Services had a relaxed time leaning back: We already had our Oscar. 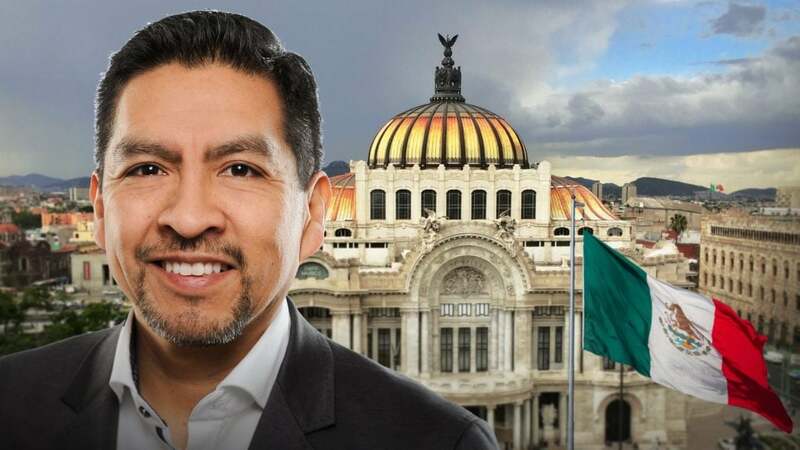 And as the “Roma” director Alfonso Cuarón, probably the most undisputed winner of this year, reminded of his home country Mexico, we were also on the bright side: Mexico indeed is also the birthplace of Oscar F. Muñoz, the new Senior Service Analytics & Quality Manager in our Service Operations unit. Oscar was born 43 years ago in Mexico City, with officially just under nine million inhabitants one of the world’s largest cities. The connection to electric power was already there: His father was an electrical technician, and at the age of twelve Oscar chose electricity as a school subject. After graduating from the Instituto Politécnico Nacional with a bachelor’s degree in electrical engineering and energy systems, he went to the USA to earn his Master of Science at the University of Illinois at Urbana-Champaign. After about two and a half years as an electrical design engineer and then as a bids & proposals engineer for medium and low voltage equipment, Oscar worked for 16 years in the development of software for use in the analysis, simulation and visualisation of electrical networks, first in the USA, then in Tübingen, Baden-Württemberg. At the end of 2018, Oscar signed up for TSCNET Services. “I was interested in a career transition from conceiving and implementing software tools for power systems to the utilisation of such software in direct applications within the environment of transmission system operators,” he explains. In Munich, his ambitious goal is to combine his education, his skills, and his many years of experience to contribute to the improvement and development of processes and tools for the analysis and visualisation of complex large-scale power systems. Hollywood, please make a note of this – it sounds like some award-winning deeds again. At just the right distance – welcome, Diana, Lukas and Muhammad! “A diverse mix of voices leads to better discussions, decisions, and outcomes for everyone,” says a famous quote from Google CEO Sundar Pichai on corporate diversity. This goes well with TSCNET Services: The people who work for us come from many different countries and cultures. The trio of entrants in the Service Operations unit is a perfect example of this. Let’s just take Lukas Leitner, the new Junior Operations Manager. The 26-year-old is Austrian, but was born in South American Colombia, lived in Malaysia 18,943km away (yes, the rumour is true: he once met Formula 1 legend Michael Schumacher there …) and spent most of his life in Germany and Bavaria respectively. In the past seven years Lukas studied energy technology at the Friedrich-Alexander University in Erlangen-Nuremberg and graduated there in October with a “Master of Science” specialising in electrical energy supply. 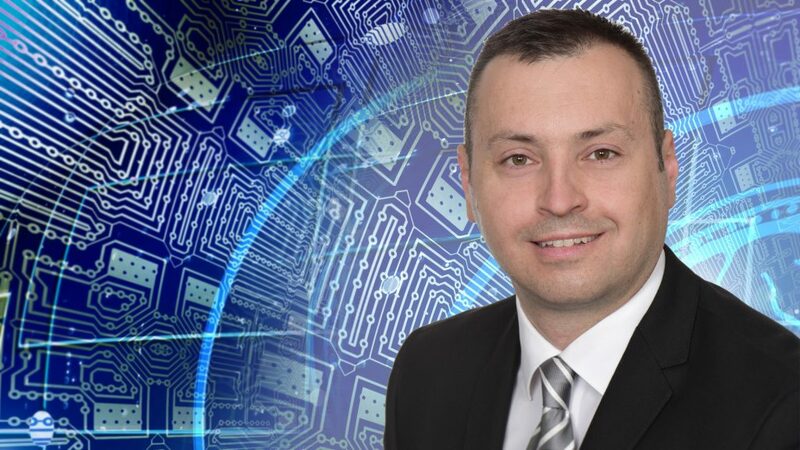 During his studies, he had already worked for Siemens in the EM DG POC (Energy Management / Digital Grid / Protection, Operation & Control) department and had already become familiar with some of the aspects of the work of a Regional Security Coordinator (RSC). He chose TSCNET Services “because the team spirit, the work ethic and the general environment convinced me – and all this has proven to be absolutely true already in the first days”, says Lukas. 27-year-old Diana Yule has also lived on three continents to date. She comes from Colombia and after completing her bachelor’s and master’s degrees in electrical engineering and electronics respectively, worked there for four years in the field of energy efficiency and networks. She has also lived in the United States. There, the sports enthusiast Diana shone as a football player, among other things. “I generally liked team sports better, but after entering professional life it was easier to start running because of the working hours. Today I like it at least enough to run half marathons,” she says. If there’s a call for sport somewhere – she’s there! This also is true for her move to Germany and her start at TSCNET Services: Electricity grids already were her thing, but she finds the European one to be the most interesting. Now she wants to settle in Germany and build her social circle in Munich, while she can deepen and broaden her knowledge in her profession. That’s how we like to leave it: No matter where you come from – TSCNET Services offers excellent working conditions and great perspectives. It’s all about your knowledge, skills, attitude and efforts. 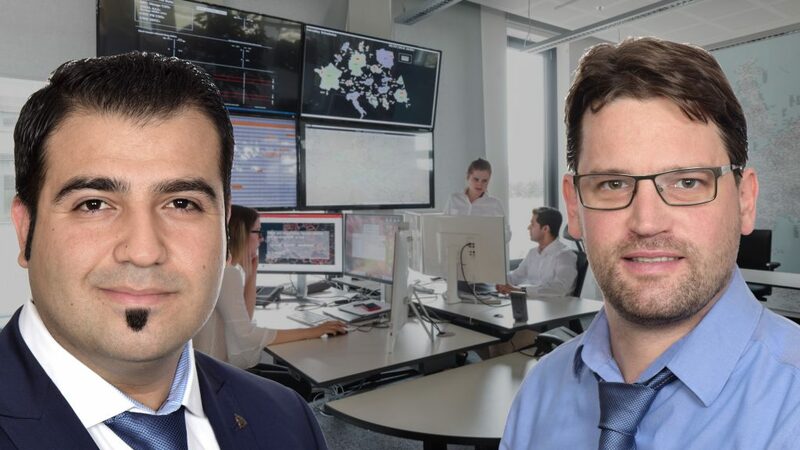 Operations in Bavarian – welcome, Mohammad and Vincent! We at TSCNET Services are passionate advocates of diversity, especially when it comes to the origins of our employees. People from 24 nations work with us – but then many people are happy when someone truly Bavarian is also part of it. Bavaria has to do with both newcomers to our Service Operations unit, but in very different ways. With Vincent Helmbrecht (right in the picture) it’s quite easy: The 33-year-old Operations Manager comes from Pfaffenhofen an der Ilm, just 40 kilometers north of Munich, and the gateway to Holledau, the world’s largest hop-growing region. If you don’t know: Hops are the characteristic ingredient for beer, and worldwide Bavaria stands for the so popular brewery product. After his Bachelor of Engineering (B.Eng.) in Renewable Energies Technologies at the University of Applied Sciences Nordhausen, Vincent earned his Master of Science (M.Sc.) in Renewable Energies and Energy Efficiency at the University of Kassel in 2013. After around three years as a photovoltaic researcher at the Fraunhofer Institute for Energy Economics and Energy System Technology (Fraunhofer IEE) in Kassel and in the European Network of Excellence (DERlab), Vincent joined TSCNET shareholder TenneT, the German-Dutch transmission system operator (TSO). There he worked at the Control Center in Dachau, which borders Munich in the west. His focus was on capacity calculations and Week-Ahead, Day-Ahead and Intraday calculations including redispatch for the grid’s n-1 security. Vincent hired TSCNET for a period of 18 months. He wants to bring in his knowledge from the TSO side and at the same time get to know the work of a multinational Regional Security Coordinator (RSC), such as TSCNET, even better. It is somewhat more complicated with the Syrian Kurd Mohammad Qasem, whom the family and friends call Bradost or Brad for short. In 2009, he began his studies in Information Technology Engineering (ITE) at the University of Damascus. Before his graduation he had to leave the country because of the civil war in 2012 and went to the Kurdish part of Iraq. There he worked in various humanitarian projects for the Italian aid organisation Un Ponte Per and also developed several database applications, among others financed by UNHCR and UNICEF. In 2015 Mohammad was accepted into the “Leadership for Syria” programme of the German Academic Exchange Service (DAAD) and continued his studies in Engineering Physics at Oldenburg University, specialising in renewable energies. During his studies, he also had a lot to do with photovoltaics in addition to wind energy and developing new concepts to realise the “Energy Turnaround”. Now that he has graduated, the 26-year-old has moved to Munich with his family and started as Junior Operations Manager at TSCNET, and now we’ ve come full circle when it comes to Bavarian: After Kurdish, Arabic, English, and German, the amateur photographer and music lover now also wants to learn the Bavarian dialect, which is “difficult even for native German speakers in other parts of the country to understand”, as the global edition of “Handelsblatt” says. Perhaps Mohammad’s new colleague Vincent will kindly include some Bavarian in his knowledge transfer project. Each new co-worker brings new stories and new insights to a team. 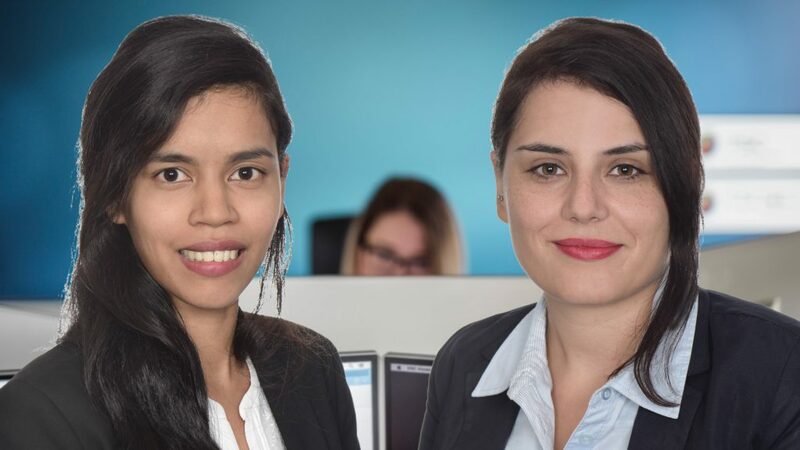 This also applies to the two new Junior Operations Managers in the Service Operations unit: Carole Rickmouni and Sonja Tomic. Let’s start with Carole, a 27-year-old energy engineer “from a tiny French island in the Indian ocean”, east of Madagascar and 175km southwest of Mauritius: La Réunion. Only a few Europeans should know that the 63km long island has a real three-thousander: The Piton des Neiges volcano at 3,070m above sea level. Translated, the name of the mountain means: snow peak. “In fact, it’s a beautiful ski resort,” confirms one tourism expert. But he adds: “Despite its name, even at the top of the mountain snow practically never falls. The last snow on the island fell a few years ago and some locals almost thought it was the end of the world. The mountain is awesome, so come to visit – but leave the skis at home.” Now in Munich, however, Carole definitely wants to climb mountains and ski. She also has clear professional goals in mind: “I am passionate about sustainable development and I want to develop my skills in power system operations and electricity markets,” says Carole. “One of the most interesting aspects of energy system transformation is securing the electricity grid, which was originally not designed for renewable energies.” She knows what she’s talking about: For her thesis she dealt with the economic and technical assessment of the Danish power grid. The 26-year-old Sonja has also already gained some experience in the field of energy. She comes from the small town of Kakanj in Bosnia-Herzegovina, about 50 kilometres north of Sarajevo. With its coal deposits and power station (Termoelektrana Kakanj), it played an important role in the industrialisation of the former Yugoslavia. The power plant also aroused Sonja’s interest in the energy sector. A good year ago she completed her studies and obtained a Master of Science in Mechanical Engineering, department Energetics. Already during her studies, she worked in the field of data analysis and started shortly before finishing her studies at an international company with a focus on the energy industry. In 2016 it was the first time that Sonja visited Munich – “and I immediately fell in love with the city,” she sums up. In addition to the business itself, she was also convinced by the internationality and cultural diversity of TSCNET Services. She wants to learn a lot here and develop further in her team. And she is pretty sure: “My move to Munich – that was a one-way ticket”. If it’ s up to her colleagues: Yes, gladly! At TSCNET Services, we are proud of our international team of people who have come ‒ in most cases most literally ‒ a long way to bring their skills to the service of our customers. Such as Stoyan Velev, whom we welcomed in May as the new Business Intelligence & Data Scientist in our Service Operations team. Originating from the southwest of Bulgaria, Stoyan moved as far as to the Baltic coast in the northeast of Germany, where he received his master’s degree in Business Administration at the University of Applied Sciences, Technology, Business and Design in Wismar. Later, his education was complemented by certification as a Visual Basic for Applications (VBA) programmer and database developer. What his work is about is not so easy to describe. A Bulgarian proverb sums it up quite well: “It is good to fish in streaming water.” The vast amount of data in our company can almost be understood as wildly thundering waters. This makes it even more important to filter out the relevant data and process them optimally. Next to the maintenance and advancement of TSCNET’s central database, Stoyan’s core tasks include data visualisation and the creation of reports. Stoyan enriches our team with a load of practical experience in the field of data analysis and as designer of analytic and reporting systems as well as complex calculation models. As a European regional security coordinator (RSC) serving transmission system operators (TSOs), it is particularly valuable for TSCNET Services that Stoyan brings relevant expertise from the electricity retail market, too. What stands out from Stoyan‘s experience is his enthusiasm for programming, data processing and reports. “This means truly professional and meaningful reports that accurately reflect the company’s as well as the customers’ activities and really support decision-making,” says Stoyan. With this personal verve, Stoyan is committed to providing real value to TSO customers. We are happy to report! Sometimes a fresh start can also be a comeback, and this is the case with Veronika Doppelhammer, the new Program Manager for Coordinated Security Analysis (CSA) Transformation at TSCNET Services. Some ten years ago, Veronika left the world of transmission system operators (TSOs) to further expand her professional experience. Now, she returns to the TSO business by taking on a task that is most challenging and truly in need of a responsible-minded expert. 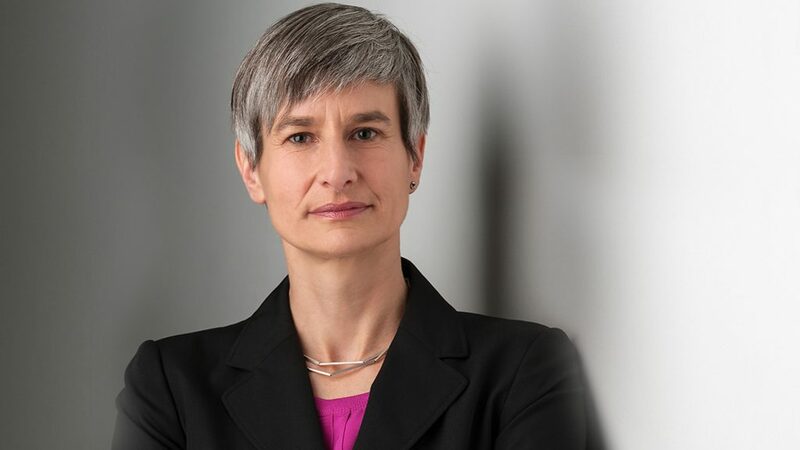 In her new role as CSA Transformation Manager, Veronika will lead the further functional and IT-related developments in one of the most important service areas. In this area, our company supports its customers in identifying and managing bottlenecks and risks in the European electricity grid. The CSA services will be further extended to allow better coordination and advice. “This most important and complex venture has to be run by an absolute professional,” says Maik Neubauer, one of our Managing Directors. Veronika was born in Bavaria and received the degree of a Dipl.-Ing. Elektrotechnik at the University of Applied Sciences in the Lower Bavarian capital of Landshut. She completed her diploma thesis as working student at the hydropower division of the Bayernwerk AG. Veronika’s first TSO experience followed in a six-month project at Technikon Pretoria (now merged into the Tshwane University of Technology) in cooperation with the South African TSO Eskom. Subsequently, the electrical engineer fulfilled various positions and management roles in energy companies ‒ such as several divisions of E.ON Energie AG and the Swiss TSO Swissgrid – and gathered substantial experience in the fields of strategy and business development, regulatory and risk management. 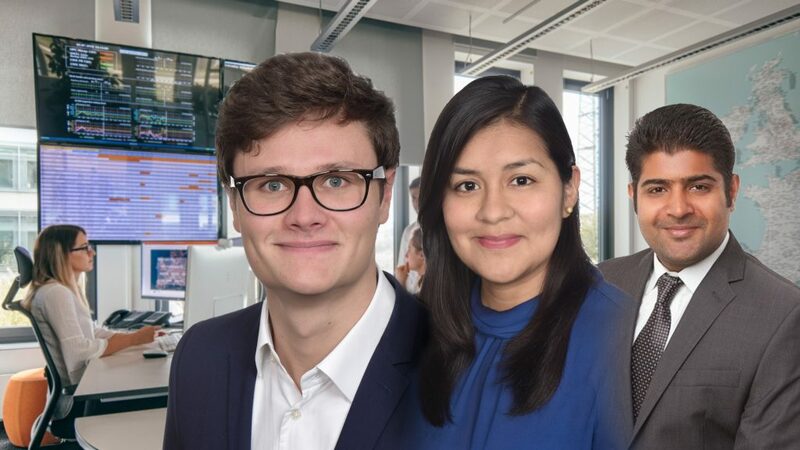 Especially at TSCNET shareholder Swissgrid, for which Veronika worked until 2007, former colleagues are looking forward to collaborate with Veronika again. Veronika is excited to be challenged by the new project at TSCNET Services. She is eager to get new functionalities ready in time, but always with an open eye to regulatory requirements and customer satisfaction. “I have held various positions in many areas of the energy sector, not only electricity but also gas. I worked in small start-ups and large corporations always having in mind to improve interface management,” explains Veronika. With this experience and as a part of the TSCNET management, Veronika wants to enable the (young) team of TSCNET to fully use their potential. Of the four teams at TSCNET Services, the Service Operations team is not only the largest, but also the one with the most colleagues coming directly from one of the transmission system operators (TSOs) that are also shareholders of the company. This leads to a great transfer of knowledge and exchange of experience, but also has a downside: Most of the time the TSO would like to have “their” employee back earlier or later, and we have to find replacements. 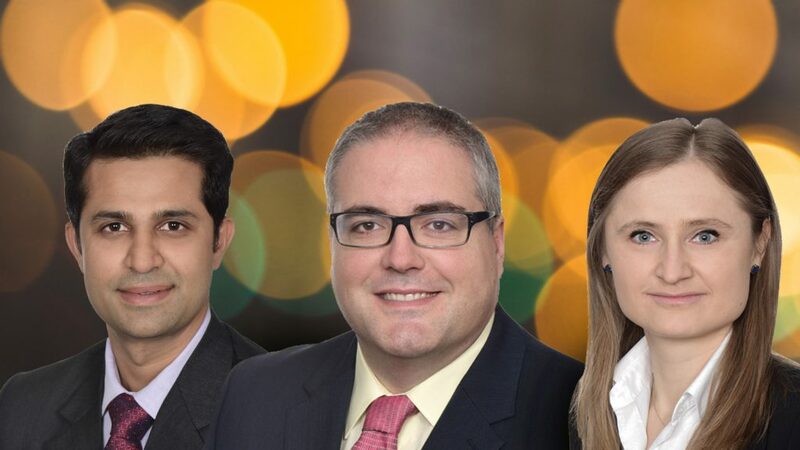 This time we are pleased to welcome as many as three new employees: Alisa Mocanu and Prashik Mankar as additional Operations Managers and Andres Sanchez Garcia as new IT Operations Manager. Operations Manager Alisa was born in the Republic of Moldova and went to Romania to study. There she completed her master’s at Faculty of Power Engineering at the Politehnica University of Bucharest. She has several years of experience in the development and commissioning of photovoltaic power plants (20MW) and in the field of grid software solutions. She chose TSCNET Services because she can here be part of a team that shapes the future of energy. Alisa’s colleague Prashik Mankar comes from India and has a master’s in Electrical Power Engineering from the Brandenburg University of Technology Cottbus-Senftenberg, following his Bachelor in Electrical Engineering from Fr. C. Rodrigues Institute of Technology in Navi Mumbai, a satellite city to the metropolis of Mumbai in Maharashtra, India. Before joining us he worked for our client 50Hertz, mainly in the field of online simulations and forecasted grid models. Prior to that, he worked for GridLab GmbH with a focus on the implementation and operation of phase shifting transformer (PSTs) and detecting and eliminating looming bottlenecks in the power transmission grid. Originally from Spain, IT Operations Manager Andres has more than ten years of experience in the IT business after graduating in Advanced Software Development in 2003 at the age of only 21. The family man has been living in Germany since 2009. Most recently he was Global IT Manager at Matica Technologies AG in Munich. He opted for TSCNET Services primarily because of the almost familiar open office concept and the excellent opportunities for personal development. “He works efficiently, is always helpful and thanks to his character, working with him makes everyone happy,” says one of his former colleagues appreciatively. The employees and customers of TSCNET would certainly not mind if one day they would also speak of our three newcomers in this way. “Keep making me proud!” Goodbye, Jan! “How I would describe him in one sentence?” asked the colleague. Her answer was not long in coming: “Well, a really big guy with a really big heart!” Then she talks about his helpfulness, his caring nature, his enthusiasm for a voluntary project in the area of nature conservation, and about the goodies he had brought once again to the office for his colleagues just a few weeks ago. The big guy’s name: Jan van Schuylenburg, one of the Operations Managers at TSCNET Services. After more than two years as our colleague, he returns to his home country, the Netherlands, to the Dutch transmission system operator (TSO) TenneT, our customer and shareholder. The connection is pretty close: Jan had already started working there respectively at the predecessor company SEP (Samenwerkende electriciteitsproduktiebedrijven) in March 1988 – more than 30 years ago! 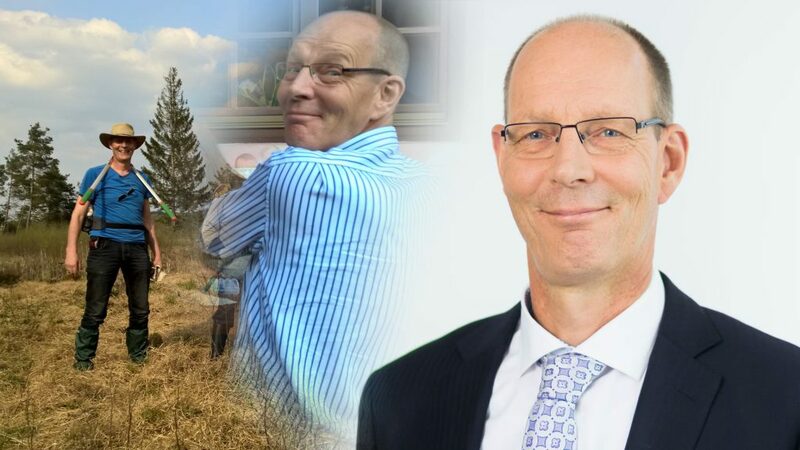 It had always been a pleasure for him to serve his colleagues in all the TSOs and to be involved in the further development of the so important services and tools, says Jan. As he is now going back to the Netherlands to sit on the other side of the desk as a customer again after a short transition period, there is one final wish: “Keep on making me proud to have once been a part of this wonderful joint venture”. You can be absolutely sure: We will do our best!